“’Your lip is trembling,’” the Ghost of Christmas past tells Ebenezer Scrooge in Dickens’ novel. 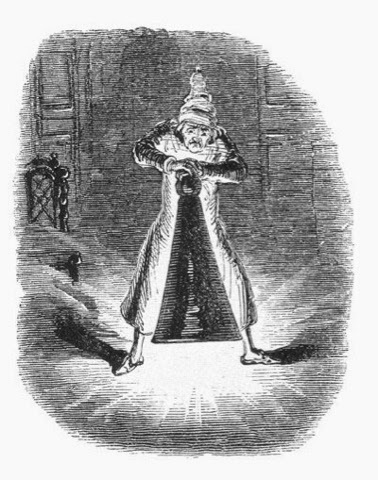 But the trembling is not, as would be typical with a spectral, frightening appearance, the result of Scrooge’s fear—it is because of Scrooge’s memory, and the emotions associated with his youth. Yes, the first of the three ghosts Jacob Marley announces to visit Scrooge isn’t the scariest of the lot, but she or he does play a significant part in the scaring of Scrooge back to the life he should be leading. Unlike Marley, with his shaking chains and moans, the Ghost of Christmas past is not out to horrify and unnerve Scrooge. The role this ghost plays is to make Scrooge remember, in all the glory of what came before, exactly what his past looked like; who he was, who he was with, and how he felt. And in a way to Scrooge, that fear—that the person he was in the past with his sister, his friends and the woman he loved could never be again—is one of most frightening experiences that makes Scrooge change. If he cannot go back to his past and change it, he can, as he goes forward into the Christmases of the Present and the Future, do justice to the past, by remembering who he was before he changed. 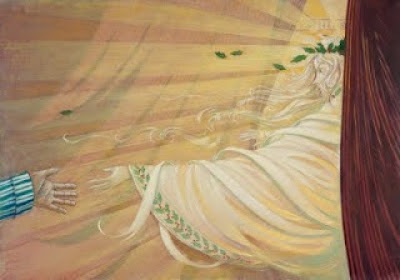 While the majority of the “A Christmas Carol” ghosts have standard depictions—Marley with his chains forged in life, the Ghost of Christmas Present a fire-haired Saint Nicholas figure, the Ghost of Christmas Yet to Come a variation of the grim reaper—the ghost of the past is often depicted differently. 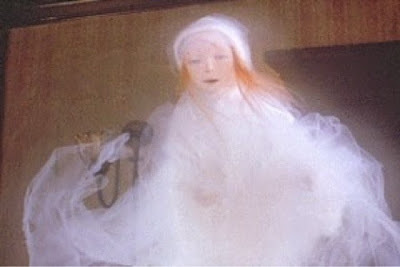 While the general idea from Dickens novel is often adhered to—a candle-like figure that can be, like the past, extinguished—most film and television adaptations have chosen different routes—sometimes depicting the ghost as a woman, sometimes a man; sometimes a young girl, but, always, with a floating, temporary presence that embodies what the past is to the reader of the viewer. Second Photo: Walt Disney Pictures, "A Muppet Christmas Carol."